Our new software is called CampWise. We have loved working with them and know they will help in any way possible with questions you may have. Their support team is quick, informative, and along with the staff you know and love at LHBC, will get you on track to registering for a one of a kind experience at Luther Heights Bible Camp. No sweat! Encouraging all campers to register online. New Health Forms. This is the last time a Health Form will need to be filled out. In subsequent years you will be able to update the health form online. Horseback, Rafting and other permission forms will be signed online. You will not need to mail back any forms! Confirmation of camp registration will be done by email. Luther Heights will then approve or decline the discount and you will receive confirmation in an email. If you have any further questions about our discounts, please contact out office at 208-886-7657. Learn more about our discounts. If you are responsible for referring a brand new camper to LHBC, please let us know by emailing us. You will also want to select the “Bring a Friend/New Camper Discount” on the discount page. Once the new camper has registered, we will apply the discount to your account, but not until they are ‘Registered’ meaning they have at least paid their minimum deposit. Learn more about our discounts. A $50 non-refundable deposit must accompany all summer camp registrations. Full payment of registration fee is required 30 days prior to your child's arrival at camp. Visa. MasterCard and Discover are accepted through online and telephone registration only. Personal checks are accepted. A full refund minus the $50 non-refundable deposit (per camper) is provided if canceled 14 days prior to the event. Luther Heights Bible Camp and supporting community believe that every child who wants to attend camp should have the opportunity. Financial help is available. 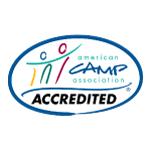 If your child or a child you know cannot afford the camping fees, camperships are available.